Every girl knows a black dress is one of the most timeless, elegant and versatile garments that exist. If you want to know how to modernize that infallible black dress or need to know what classic accessories you can combine with your back prom dress, with Jovani you will learn to use the accessories to create a refined style for any occasion when your prom party ends. Just combine all these possible accessories, and without a doubt, you will give a will be the prom queen or you will impact wherever you go. Bring life to the outfit with a striking necklace such as an attractive charm renews any set. You can also attract attention to your figure with a long necklace and place several strands at the same time so that the effect is more drastic. With some jewelry of different sizes and styles, the dress will be suitable for any occasion. 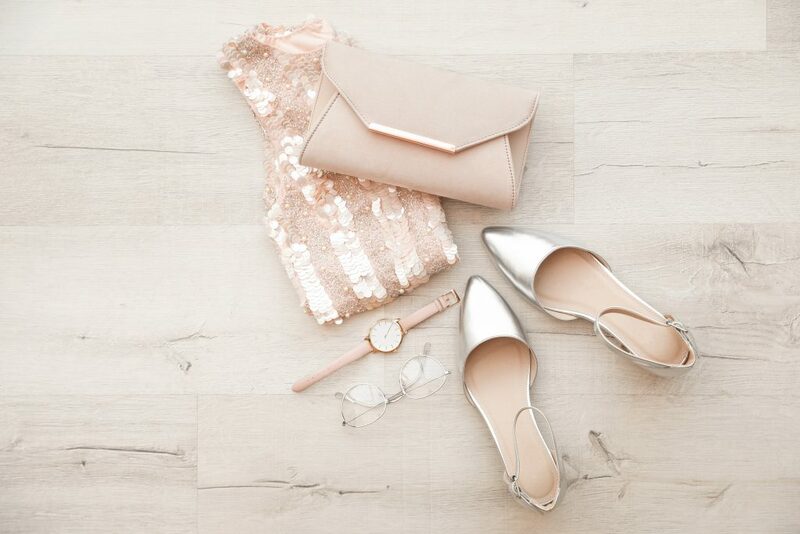 Neutral metals will give you a more conservative appearance. A necklace that has thick stones and an attractive color will create a modern look. A necklace inspired by tattoos with elaborate patterns will undoubtedly give you a vampire style. A wide metallic bracelet will convey a futuristic look while the cuff bracelets made of leather with clasps will show the rebel you wear inside. If you use several bracelets together, the effect will be more daring. Choose a pair of large and striking earrings. Hanging earrings with tassels and bright earrings are some strong options. On the other hand, large ones will attract more attention to the face. Choose smaller sleepers to create a more elegant and straightforward style. Accentuate the style with a watch or a brooch. Choose a watch to show your sports side or merely embellish the outfit with some classic gold or silver jewelry. You can also combine the dress with something more modern, like a brooch similar to a button or another more original that is made with ribbons or feathers. Use a scarf or a decorated neck to draw attention to the neckline. For an event like your prom party, combine the dress with a beautiful but delicate scarf. With a pashmina, you can cover your neck and shoulders more when it’s cold if summer is coming. Use a thick belt to draw attention to your waist. Choose a metal belt and attach it to the thinnest part of your waist to show off your figure. You can also use a colorful or bright belt that highlights on the black color. In this way, you will shape a loose dress or accentuate the shape of a tight dress. Use attractive socks to focus attention on your legs. Keep the heat and elegance by adding a pair of socks to the set. Use black stockings to create a more traditional look. So that the style is subtle, choose a skin color or brown stockings. Try shiny stockings or stitches to give the dress a volume sensation. Try the colorful stockings. Trying purple, orange or even red socks will be fun. Use these daring stockings to go out one night instead of using them during the day at the office. Use a sweater to create a relaxed look. Try a big sweater, a cardigan with buttons or a more tight bolero. Take advantage of the sweater to add a touch of color to the outfit. In this way, you will create an informal style that will also give you an additional layer in case it is cold. Try a faux fur jacket. Give a bohemian touch with the synthetic leather. Try different colors and lengths to find the best size and fit for you. Synthetic leather is a very bold and striking material, so you should be careful not to overload the style. If you choose a faux fur jacket, the other accessories should be minimal. Combine a handbag with the most formal sets. Choose an intense and fun color or a metallic and bright design. Create a dramatic look with a large handbag made of pure leather. Choose the traditional style with high black heels. Choose one of patent leather or suede to look timeless wherever you go. Keep a simple style with black shoes or use them to divert attention to another more striking accessory. Add accessories to the dress by styling the hair. A shiny headband, a small tiara, and an ornate hairpin or pin will create a more feminine style while holding the hair.